A great deal of formerly industrial land in the US now sits vacant and unused, adding to the ugliness and depressed feel of many cities, large and small. The problem has been how to redevelop the land, and clean up any potential contamination in the process. Developers and other potential buyers of the property as understandably reluctant to acquire and redevelop the land because the exposure to liability and the enormous amount of governmental red tape involved in cleaning up a property makes redevelopment too expensive of a proposition. As a result, the property just sits, further decaying. Government at all levels has tried to combat this problem to encourage redevelopment of the land but it often results in more red tape and too little progress. Typically, the safe harbors provided in the law are designed to work in specific situations and with ownership structures. When situations arise that don't exactly fit the parameters of the safe harbors, there often is no leeway in the law that enable the government agency to effectively deal with it. There are also grant programs in place to help cover the costs of clean up. However, in today's economy, tax dollars are scarce and there are not sufficient funds available to clean up all the contaminated properties that are out there. Further, there exists an alphabet soup of departments, bureaus and agencies at all levels of governments with overlapping authority and competing rules and regulations, and a developer must somehow accommodate them all at great cost and potential risk. At the US EPA, cleanup of contaminated land might involve Brownfield regulation, removal of above-the-ground or underground storage tanks, Resource Conservation and Recovery Act (RCRA) corrective action, and Superfund issues. Click here to access the EPA web page for regulatory information on Land and Clean Up. 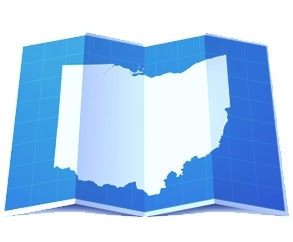 In Ohio, you may also need to deal with the Ohio EPA's Division of Environmental Response and Revitalization. In regulatory guidance issued by the US EPA late last year, the use of institutional controls such as deed restrictions, easements, zoning restrictions and other such mechanisms that would help ensure that the uses of reclaimed contaminated land is limited to those purposes that are safe. For example, certain real property may be cleaned up sufficiently to be safe for commercial use, but would remain unsuitable for single family homes. Deed or zoning restrictions can be useful in this situation to ensure that the land is not converted to more ill-advised uses in the future. There is a trend in environmental regulations and policy guidelines at the federal or state level to encourage a higher level of public and governmental involvement in this process. Obtaining input and buy-in from the local populace and assistance from governmental regulators with knowledge and expertise in the issue seems like a decent idea in theory. But let's never forget the old but true axiom of the road to Hell being paved with good intentions. The result, in practice, is often just another layer of complications and obstacles that result in greater risk, expense and delay ending with a failed project that never gets completed. How about providing instead, a streamlined permitting and regulatory process with fewer agencies to navigate, and which encourages developers to take on the clean up with more manageable expenses and exposure to risk? Our grant programs for clean up are not bottomless pits of funds and with a streamlined bureaucratic process along with liability protections within a clearly defined safe harbor, developers might be more inclined to revitalize the real property on their own dime.